After the SVoD leader (Netflix), the musical streaming leader (Spotify), we are going to work with the console leader: PlayStation. 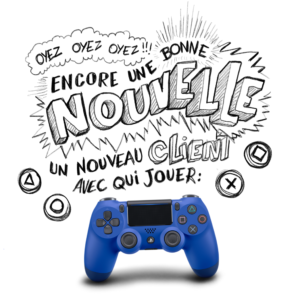 Our Berlin and Paris team will work on PlayStation’s social strategies and games launch. We will take over their several social media platforms in France (Facebook, Twitter, Instagram, Youtube et Snapchat and also the PlayStation Blog).